Victoria is a locale of beautiful contrasts, where well-preserved history mingles with the panache of a cosmopolitan city. Native Americans inhabited the Vancouver Island region for more than a thousand years before British explorers arrived in the late 1700s. The land was officially settled in 1843 when James Douglas, a fur trader with the Hudson’s Bay Company, built the city’s original fort and trading post and dubbed it Fort Victoria in honor of the British Queen. In 1858, the Fraser River Gold Rush made Victoria a chief port of entry for Great Britain’s Canadian colonies, causing the local population to soar. Four years later, it was incorporated as the City of Victoria. Today, Victoria is a cultural mecca, welcoming nearly 3.5 million visitors every year. Framed by stellar mountain and ocean vistas at seemingly every turn, the city’s historical sites and modern charms seamlessly blend with its impressive architecture, vibrant gardens, and gourmet dining scene. Discover the botanical wonderland of The Butchart Gardens replete with show gardens abloom in a riot of colors. As the hub of the city, the Inner Harbour is constantly humming; seaplanes, ferries, street performers, and food vendors abound. It’s also home to many of Victoria’s main attractions, including the Royal BC Museum. Two imposing structures stand guard over the harbor: the oxidized copper-domed Parliament Buildings and the ivy-covered Fairmont Empress Hotel. In 1892, an architectural contest was held to select a designer for the Parliament Buildings. The honor was given to twenty-five-year-old Francis Rattenbury, who envisioned the construction using raw materials sourced from the province. There are thirty-three domes in total, with a 6.5-foot-tall statue of Captain George Vancouver standing atop the central one. Free tours of the property are offered daily. Parliament Buildings: The iconic structures house the offices of British Columbia’s Legislative Assembly. Rattenbury also designed the château-style Fairmont Empress Hotel, one of Canada’s oldest and most renowned hotels and also the site of the lauded Empress High Tea—a century-old afternoon tradition. From the Inner Harbor, wander up Government Street, where the city’s heritage is glimpsed in store windows displaying Native art, Irish lace, jewelry, and fashions. Fort Street, a one-way street leading out of downtown, is known as Antique Row. Shops lure collectors into a world of rare china, silver, toys, furniture, and other vintage treasures. Head farther north to discover the oldest Chinatown in Canada. Enter through the thirty-eight-foot-tall Gate of Harmonious Interest at the corner of Fisgard and Government streets and discover this compact neighborhood filled with classical Asian architecture. Sidewalks are packed with vendors selling produce, galleries displaying Asian-inspired artwork, and restaurants serving traditional dim sum. Be sure to wander down Fan Tan Alley, known for being North America’s narrowest street. It’s only three feet across at its widest point. Victoria is a culinary hotspot, with the second-highest number of restaurants per capita in North America. Fresh seafood abounds, and the mild climate lends itself to a bounty of locally grown produce. Several local wineries complete the gourmet experience. The Butchart Gardens: Spend time admiring the 55-acre wonderland replete with paths, fountains, and flowers. Unmatched in its sophisticated natural scenery, Victoria is known as the City of Gardens for good reason. The most famous of those is The Butchart Gardens, situated on fifty-five acres of meticulously manicured grounds about a half-hour drive from downtown. Over a million visitors come to the family owned gardens—now a National Historic Site of Canada—every year to view the expansive lawns, lily-pad-laden ponds, streams, display fountains, and, of course, the multitude of colorful flowers. Highlights include the Rose Garden of more than 2,500 roses and the Japanese and Italian inspired gardens. Craigdarroch Castle is another top attraction. The former home, circa 1890, was built by Robert Dunsmuir, then the wealthiest man in western Canada. The majority of the thirty-nine-room, four-story structure has been restored to its original condition, including a stunning collection of stained-glass windows, Victorian-era furnishings, and intricate wood paneling. The waters surrounding Victoria are also ripe for exploration. Whale-watching excursions offer a chance to spot the highly social orca whales, which make their home in these waters every summer. 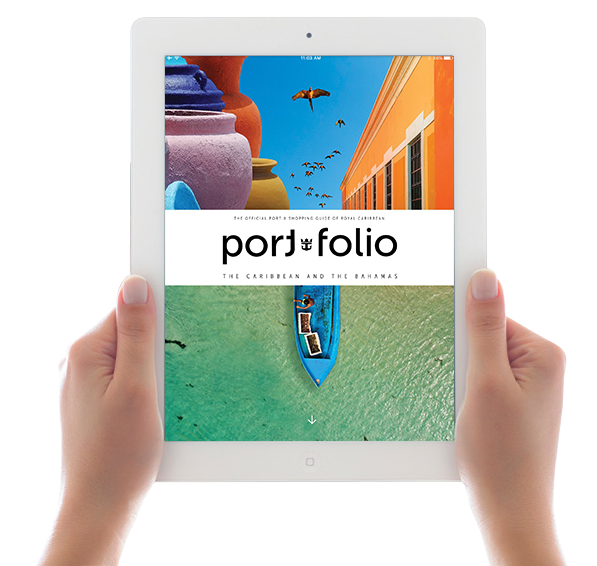 For more Victoria port info including maps, a Port Snapshot, Tips for Travelers, and Shore Excursion details, download PortFolio for the iPad.